If you won $7,000,000 on a three-month rush, and stacked up all the cash on a big table, would you then risk it all playing the world's greatest players, including Chip Reese, Doyle Brunson, Stu Ungar, Johnny Chan, and a host of other poker greats? Playing as high as $10,000/$20,000 limit heads-up poker, you could easily lose your new-found fortune to a school of sharks! Of course, the other choice you would have, while standing behind this mountain of cash, peering around it at this dangerous lineup of poker sharks, would be to cash out, take the money and run! Ask yourself, what you would do in this spot? Most normal people would take the $7,000,000 in a heartbeat, and be set for life. After all, why risk it against the immortals of poker? However, there was one guy on the planet wired differently than all of the rest of us, and his name was Archie "The Greek" Karas. He was fearless and ready to take on the best of the best in the poker world. The reason: Archie truly believed that he was the world's heads-up poker champion of all time. He was born for this moment. Looking back in time in early 1993, Archie had set the stage to go and prove it. Archie literally mowed down the world's best poker players, in an amazing exhibition of skill and courage, running his recently amassed $7,000,000 fortune into $17,000,000 million in just three more months. In some circles, this period of time in Las Vegas is often referred to as The Run. To Archie, though, he was just warming up, as though he was just stepping into the starting blocks to set a record in the most talked-about race in history. Before we go into the details of some of his biggest poker matches, let's re-examine how he accumulated his first $7,000,000 to challenge the world's best poker players. First, Archie won $1,200,000 shooting pool, playing nine-ball in local Las Vegas bars. The stakes ranged from $5,000 per game up to $20,000, $30,000, and even $40,000 per game. What kind of nerve would this take to do such a thing over a two-and-a-half-month stretch? After making this gigantic score, he and his opponent agreed to play heads-up poker, where Archie says he won between $3,000,000 and $4,000,000 playing seven-card stud over the next three to four weeks. It is hard for Archie to recall the exact amount here, as it was at this time that he began shooting dice at Binion's Horseshoe while waiting for his opponent to show up for their poker matches there. Archie couldn't wait three hours to gamble, and, in his words, was living the dream. In dice, Archie began winning scores like $800,000, $600,000 and $400,000. Archie was on fire, no matter what he did, and his episodes were creating a tidal wave of interest among the sharks in town. Archie said, "I easily had a $7,000,000 bankroll at this point, and my confidence was on top of the world. I remember getting ten racks of $5,000 chips, which is $5,000,000, and putting them in the middle of the poker room on a poker table at the Horseshoe. I was ready to take on all comers in poker, and this stirred up a lot of interest. Poker's most colorful character, Puggy Pearson, began to circle the table and the whole room, chanting, 'Step right up here, boys, and help yourself to some of this easy money… $5,000,000 just waiting for you… step right up!' Puggy was comical and appeared to be like a carnival barker, continuing, 'Archie will take on all comers… step right up to his office!' During all of this," continued Archie, "I would walk to the bathroom, leaving my $5,000,000 on the table, like I could almost care less if I lost it. Of course, I knew security was close to the money, guarding it, as the Horseshoe had high hopes of winning it from me as well. "Puggy Pearson, poker's 1973 WSOP champion and Hall of Fame member, knew me quite well, as I beat him numerous times heads-up in the past, including winning $90,000 from him the night he got so mad at me for running over him in a match. Now, Puggy looked like my promoter out there, circling the table, comically inviting one and all to step up to the plate. Puggy knew how good I was, as a small part of the $5,000,000 on the table was contributed by him. "My first big match out of the gate was against a true legend in the game, Stu Ungar. Of course Stuey had already won the 1980 and 1981 WSOP titles and three main events in Amarillo Slim's Super Bowl of Poker by 1993. He shocked the world, making his comeback win for his third WSOP title in 1997, later being inducted into poker's Hall of Fame." Archie continued, "I loved Stuey for many years. We both shared a deep respect for each other, and had a unique bond between the two of us, as we both had many ups and downs in our careers. He would loan me money occasionally, which I always paid back. I would do the same for many others. As poker gladiators however, it was now time to battle on the green felt. I remember Jack Keller brought $500,000 to the table for Stuey to play with. At the time Jack was working for Lyle Berman in Mississippi, and Lyle was backing Stuey up." 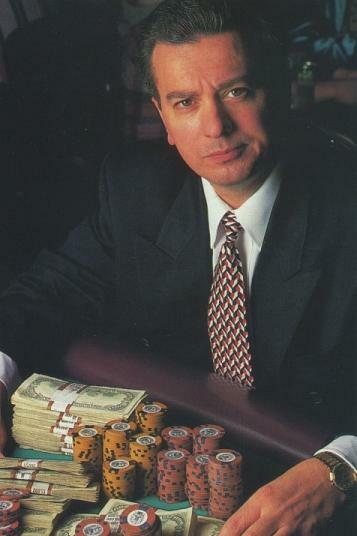 Lyle became quite famous ten years later, as the visionary who financed the World Poker Tour, and was later inducted into the Poker Hall of Fame himself. As the match began, Archie said, "After Jack brought Stuey's money down, I noticed he stayed seated at the table while Stuey and I played. I didn't like that, and even though Jack was the 1984 WSOP champion and later inducted to poker's Hall of Fame, I quickly said to him, 'What are you trying to do, Jack, get a line on my play? If you want to play, put your money up and let's go!' When I play heads-up, I like to control everything, including the game we played, which was razz. I know nobody in the world can beat me in razz, not in the long run." I asked Archie, "Did Jack Keller get up from the table when you zeroed in on him?" Archie said, "Immediately, as I made it clear he had to put his money up or leave the table!" "So, Archie, what happened in the match with Stuey?" "It didn't take long to demolish Stuey," responded Archie, "and I beat him for $500,000." Next up in Archie's parade of champions was the youngest player ever inducted into poker's Hall of Fame in 1991, who was considered by one and all to be the best all-around poker player in the world. This was, of course, the legendary Chip Reese. Archie said, "Just a few days after I defeated Stu Ungar for a half a million in razz, I was going to jump back in the fire with Chip Reese. 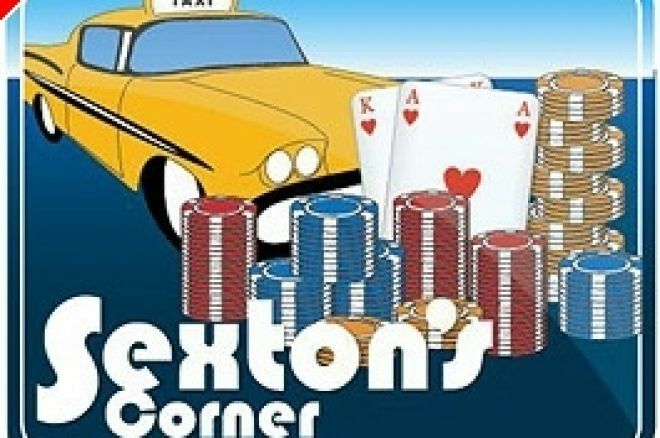 Chip wanted to play razz too, which I was happy about, as heads-up, I don't think there is a man alive who can beat me in that game, not in the long run, anyway." What Archie did next was something no one on the planet has ever done before or since. Archie beat Chip Reese and Stu Ungar on the same day! He first played Chip in razz, and won $500,000 from him. The match took about eight tough hours. Archie said, "I went to dinner for a couple of hours, and when I walked back into the poker room, Stu Ungar walked up to me and challenged me to another match. This time he wanted to play seven-card stud, so I quickly agreed to play him. "In a little more than four hours, I beat Stuey again, but this time for $700,000. I noticed when the match was over, Lyle Berman who sat next to Stuey as his backer, gave Stuey the last two $5,000 chips. Lyle had just lost $700,000, and his compassion for Stuey's hard-fought effort showed me a lot of class. What an exhausting day this was, but I picked up $1,200,000 in one day from the world's top two players!" I said, "Archie, that feat completely boggles my mind. The next day when you woke up, you must have been in awe of the previous night and what you had done?" Even Archie paused to reflect for a minute, "I've done some amazing things playing poker, but beating Chip and Stuey on the same day for $1,200,000 was extra special!" You're about to learn about the most money Chip Reese ever lost in one day in his career, when his next match with Archie Karas is highlighted in next week's Part 4. It is important to point out that Archie played Chip, Doyle Brunson, Ungar, Johnny Chan, and almost every world champion player around in L.A. and Las Vegas for many years before his iconic streak from 1992-1995. In the beginning, Chip and Doyle would pay Archie $2,000 to $3,000 per hour to play the game of their choice. If they were playing $1,000/$2,000 limit or $1,500/$3,000 limit, they would offer him one big blind per hour. Archie said, "If they were playing razz and high cards were coming, they might attempt to steer me to change over to seven-card stud." They didn't realize they had Tony the Tiger by the tail, and quickly realized this kid could play poker. That trick in their bag was quickly dropped, as they found Archie difficult to beat heads-up. In Part 4, we'll look at more of The Run, the amazing stretch where Archie Karas took his pool winnings to the poker table and built his bankroll up to $17,000,000.